The Botany Woods community began taking shape during the 1950’s and was completed in the 1960’s. This neighborhood is comprised of over 300 homes, most of which are ranches along with contemporary and traditionally styled homes. Located on between Wade Hampton Blvd. and Edwards Road, Botany Woods homes for sale are well kept and in a lovely neighborhood only a few miles outside of Greenville, South Carolina. Continue reading about Botany Woods homes for sale or search our listings below. Register with RE/MAX Moves today to gain access to exclusive listings and to unlock advanced search tools. 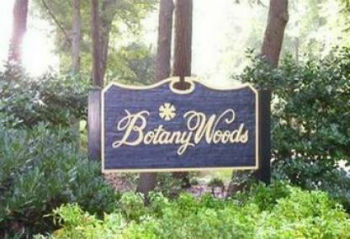 Botany Woods real estate is known for its expansive lots, towering oak trees and colorful azaleas. A friendly face is never hard to find in this charming neighborhood. Botany Woods has been noted for encompassing a true sense of community. The homeowners association hosts annual events where residents can come together and socialize, such as the annual BBQ. They have a picnic shelter, basketball courts and baseball fields available for residents. The community pool is reserved for lot owners and immediate family, ensuring privacy and security. Being only a few minutes east of Downtown Greenville ensures that there are plenty of amenities all within a few minutes of Botany Woods. In addition to having several parks and a semi private 3 par golf course, Botany Woods is also close to the Greenville airport, Bob Jones University and down the road from the mall. Walmart, restaurants and a grocery store are all within a short drive. Botany Woods is a fantastic neighborhood with plenty of charm and appeal for families. Contact us today to learn more about Botany Woods properties for sale and other real estate opportunities!